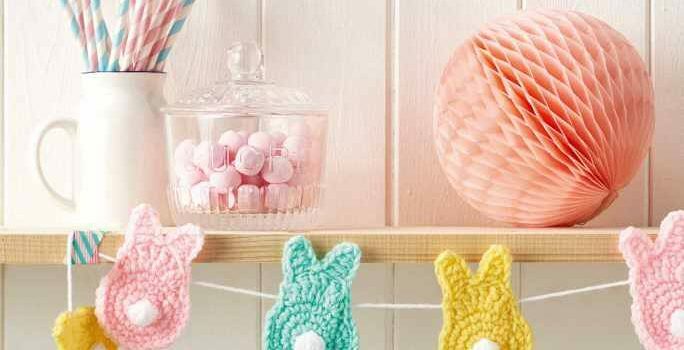 This cute crochet Easter bunting is such a fun and easy project that will make everyone happy and will upgrade your Easter decor. 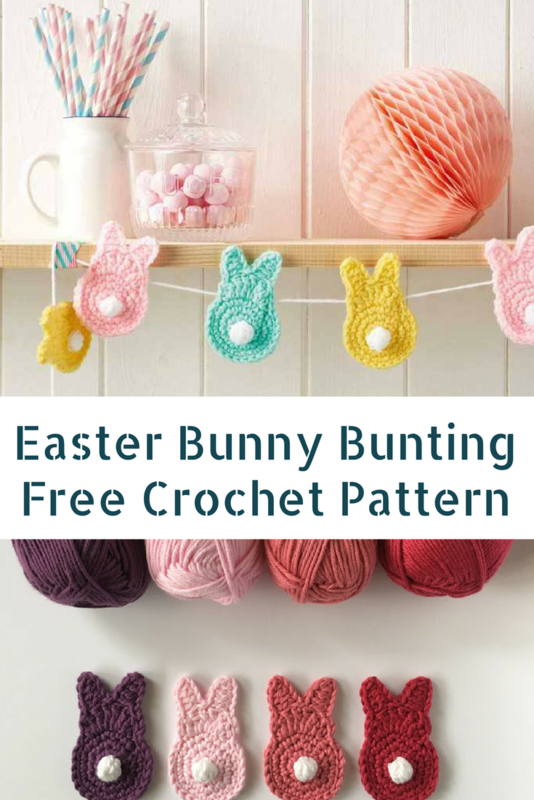 The Crochet Bunny Bunting, courtesy of Mollie Makes uses this Spring Bunny free crochet pattern. This chain of cute bunnies seen from the back with their darlings little bobble tails are more than adorable.